Soaring 394 meters over the beaches of Cassis, Cape Canaille is France’s highest sea cliff and it’s a dramatic sight, with its steep grey and ochre colored cliffs jutting out into the ocean. Located between La Citotat and Cassis on the Mediterranean coast, the rugged headland has long drawn visitors from both towns, and offers spectacular views that span the glittering Cote d’Azur, the Calanques and the Gulf of Cassis. The easiest way to take in the views is to follow the 15km ‘Route des Crêtes’, a dizzying serpentine road that curls its way along the coastal cliffs and climbs to the highest point – head there at sunrise or sunset for the most breathtaking views. Alternatively, adventurous travelers will find ample opportunities for hiking, mountain biking and rock climbing. Cape Canaille is located along the Cote d’Azur, between the towns of Cassis and La Ciotat. Discover highlights of the French Riviera on this small-group tour of Marseille and Cassis. Journey along the rugged yet beautiful Route de Crêtes, where you’ll catch panoramic views of the Gulf de Cassis from Cape Canaille. Cruise from Cassis (option) to view the region’s three famous calanques, then head back to Marseille to tour the city’s main attractions like Notre-Dame de la Garde and the Abbey of St Victor. Spend a delightful day in southern Provence on a small-group tour exploring highlights of this romantic region. Stroll through the famous market in charming Aix-en-Provence, enjoy the UNESCO-listed inlets and beaches of Cassis and take a guided tour through more than 2,500 years of French history in seaside Marseille. Travel aboard a comfortable minivan with a small group for a more personalized experience. Provence has scenic views, medieval villages, and fantastic architecture. Get more out of your time in Marseille by going on a private day tour. You’ll have a hassle-free day with round-trip transport included. The tour is fully customizable based on your needs and interests. Potential highlights include multiple stops in the Avignon and Luberon region, such as Gordes, and Menerbes. It’s also possible to explore Arles and the Alpilles area. Make the most of your time in Port with a full-day, private tour of some of Southern France’s most beautiful spots. 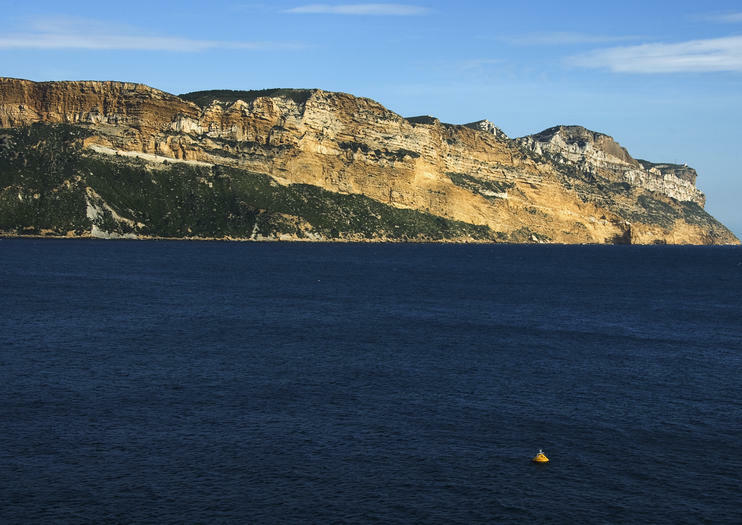 Start the day in the fishing port of Cassis and explore the gorgeous Calanques National Park. Visit the charming vineyards of Bandol and spend time in the sun-soaked resort village of Sanary-sur-mer. Your private tour is flexible, and the itinerary can be arranged to suit your interests. Leave the hassles of driving and logistics to your guide and experience the best of the French Riviera. Explore the charming Provencal fishing village of Cassis, a seaside gem, on this 4-hour morning tour from Aix-en-Provence. During the drive, soak up breathtaking views of the Gulf of Cassis from the high point of Cape Canaille, and then head down into the hills toward the picturesque harbor of Cassis. After a knowledgeable guide orients you to the area, enjoy free time to discover Cassis on your own. Round-trip transport by luxury minibus included. Embark on a private day trip encompassing two French Riviera favorites: Marseille and the ancient fishing port of Cassis. Marvel at the incredible coastal scenery of the Corniche des Crêtes as you make your way toward Cassis. Once there, peruse the charming streets or set out on a relaxing cruise (own expense) for close-up views of the 'fjords of the French Rivera.' Return to Marseille for a city sightseeing tour that includes Notre-Dame de la Garde, a stunning Neo-Byzantine church that's also a popular pilgrimage site. Immerse yourself in the distinctive beauty of Provence with a full-day tour of the Aix-en-Provence, Cassis, and Marseille. With your small group, view elegant mansions along Aix’s Cours Mirabeau and tour Paul Cézanne’s art studio (additional expense) before heading to Cassis to view breathtaking calanques from the village’s charming harbor. End in Marseille with a historic tour of main attractions such as the Basilique Notre-Dame de la Garde. Discover a different side to Provence as you explore the dramatic sea cliffs, sun-soaked beaches and UNESCO-listed calanques (inlets) of Cassis. This 4-hour small-group tour from Aix-en-Provence includes free time to explore lively Cassis or take a small-boat cruise around the calanques (not included). On the way back to Aix-en-Provence, stop to browse the stalls at a traditional Provencal market and look out across the Mediterranean from the top of Cape Canaille, Europe’s highest sea cliff. Experience the highlights of Provence all in one day on this private, seamless shore excursion. Meet your guide at the Marseille port and head first to the seaside city of Cassis. You’ll have time at your leisure to stroll its streets, relax on the beach, or even go on a short cruise of the coastline (own expense). Then, continue to Cap Canaille, renowned for its panoramic views overlooking the Mediterranean. Finally, return to Marseille, where you’ll visit the hilltop Notre-Dame de la Garde Basilica and more. Get to know Provence on this day-long tour with your own private guide. After a tour of Avignon, you’ll visit the lavender fields (when in bloom), Roussillon, the Luberon village of Menerbes, the Roman town of Arles, Aix-en-Provence, and more. As the day trip is private, everything is organized around you. Opt to add on a wine tasting, choose where to stop for lunch, and enjoy commentary that focuses on the Provence sights that interest you most. Explore the scenic surrounds of Marseille with this full-day wine tour. Travel from Marseille to the cliffs of Cape Canaille for stunning bay views. Visit the vineyards and cellar of a seaside winery in Cassis and enjoy a tasting of white wines and rosés. Head to the feudal village of Le Castellet to tour another winery and olive grove, followed by a tasting of wines and olive oils. Discover three of Provence’s highlight destinations all in one day on this flexible, private tour. Meet your guide and set off in the morning from your area accommodation via air-conditioned minivan. Head first to Aix-en-Provence, where you can explore the Cours Mirabeau, see the Old Town, and visit the Atelier Paul Cézanne (own expense). Next, head to Cap Canaille for panoramic Mediterranean views before continuing to the fishing village of Cassis, where you have free time to explore. Depart Marseille for a private day trip to both Aix-en-Provence and the fishing port of Cassis. Take a guided walking tour through Aix-en-Provence's Old Town and stroll down its grand Cours Mirabeau before exploring this laid-back city on your own. One suggestion: visiting the former studio (own expense) of Post-Impressionist painter Paul Cézanne, a local native. Do as you please in Cassis, from savoring a quiet afternoon on the beach, sipping wine at a waterfront cafe or taking a boat to see the stunning fjord-like inlets nearby.